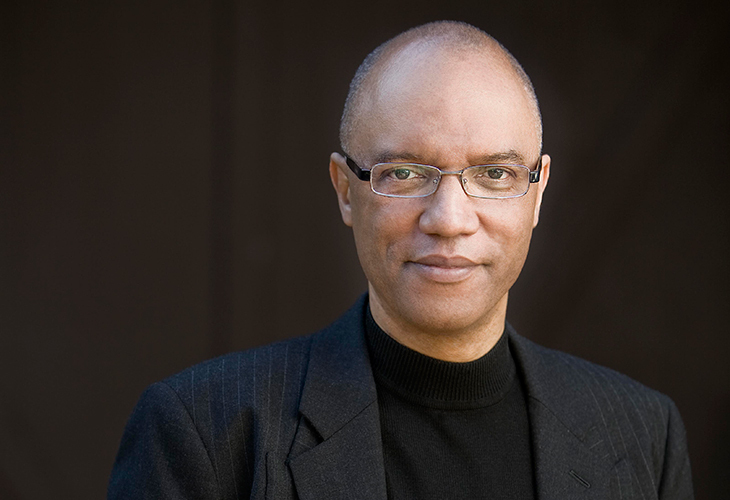 This July, Billy Childs begins his term as president of Chamber Music America’s board of directors. It’s a significant moment for CMA, and for the field at large. Childs is, most obviously, the first jazz musician to be elected to this influential position. He’s also a master collaborator, a composer whose work actively transcends genre, and an approachable stylist with a proven ability to connect with the broader public. Among his many honors are four Grammy Awards, a Guggenheim Fellowship, and a Doris Duke Performing Artist Award. His own CMA commission, awarded in 2006, funded a work for his Jazz-Chamber Ensemble—a groundbreaking project that, as its name suggests, merged improvisation and jazz rhythms with the orchestration and instrumentation of a traditional chamber ensemble. Childs was born and raised in Los Angeles, where he still resides today. He began his study of the piano in early childhood; by age 6, he was performing publicly. A key encounter with Freddie Hubbard in the early 80’s led to a tour in the trumpeter’s band; gigs with Joe Henderson and J.J. Johnson followed. His first release as a bandleader, 1988’s Take for Example… This, established him as a distinctive voice in modern jazz technique and composition. 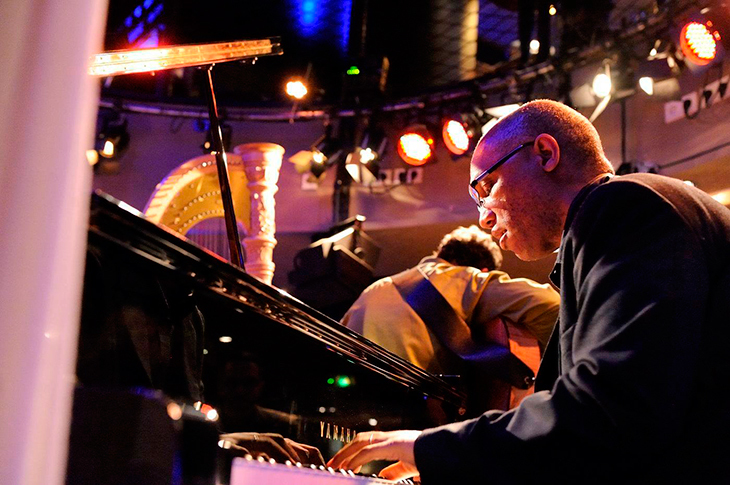 In 2005, he received his first appointment to CMA’s board, where he served a key role in guiding the organization’s then-young jazz programs, as well as advocating for the needs of small ensemble musicians and composers of all genres. Over a long and varied career, Childs has performed and recorded with the likes of Yo-Yo Ma, Wayne Shorter, The Kronos Quartet, Chick Corea, and the American Brass Quintet; and composed new works for the Los Angeles Philharmonic, The Ying Quartet, the Dorian Wind Quintet, The Lincoln Center Jazz Orchestra, and many others. We introduce him in a far-ranging interview, below. CMA: How were you introduced to music? What influences have stayed with you over the years? Billy Childs: I grew up listening to people like John Coltrane, Keith Jarrett, Herbie Hancock, McCoy Tyner, and Chick Corea, and their work is what I still most aspire to. At home, my mom would play Bach and Handel and Baroque music, and my dad loved the Swingle Singers, who played a kind of jazzed-up version of Baroque music. I really loved the Baroque composers. By my teens, I had discovered 20th-century classical music; Paul Hindemith’s Mathis der Maler made a huge impression on me when I first heard it. A lot was also happening in jazz fusion when I was really finding my identity as a musician, and that music shapes a big part of who I am today. Keith Emerson [of Emerson, Lake, and Palmer] was largely responsible for me wanting to play the piano. All of this is inherent to me now, but jazz remains at the core of much of what I do. Over the years, I’ve worked to cultivate a kind of duo-career as a jazz pianist and composer. I don’t like the term ‘jazz composer,’ but I think of myself as a jazz pianist and musician and also a classical musician via my compositions. You have a formal background in classical composition, correct? BC: Yes, I did a bachelors degree at the University of Southern California. I had some great teachers, like Robert Linn—who studied with Darius Milhaud and Roger Sessions—and Morten Lauridsen, who was a theory teacher of mine. I got a very strong foundation in classical composition there. I’ve always been drawn to composing. It’s like a puzzle to me—the work of putting something together that makes a complex and beautiful statement. There’s a lot of discussion around the role of genre in our field today. As a musician who’s often moved across genre lines, do you find genre distinctions useful? Or troublesome? BC: The lines seem very delineated to me today, much more clearly than when I was younger. Back then, you could go to a concert and hear Laura Nyro opening for Miles Davis. You could see a rock group followed by Herbie Hancock and the Headhunters. There wasn't as much genre-specific programming going on in concerts—and in radio, too. You’d turn on Q102 and you might hear Grover Washington, then you might hear a Coltrane ballad and some Bill Evans, and then a fusion piece by Chick Corea. It was all over the map. Today, the thinking around genre reminds me of an iTunes Playlist; it’s almost as though people have internalized the logic of a computer, the need to organize information. You’ve worked with a wide range of artists over the years. Are there collaborations that really pushed you, or affected your direction as an artist? BC: Some years ago, I got a commission to write for the Dorian Wind Quintet, for piano and wind quintet. That commission was really the seed of my Jazz-Chamber Project. I’d never worked with a world-class classical chamber ensemble before. I’d worked with orchestras, but always with a conductor. And what I found was that these musicians really played as a group in a way I’d never experienced before. There was a different sense of time. Everyone was tuned in to each other; there was a give and take. If someone came in late, everyone accommodated. In jazz, the time is, in a way, external. You think: “Over there is the clock; we counted 1-2-3; that’s the time.” It’s outside of you and you adhere to it. Playing with the Dorian Quintet, we made up our own time; we ebbed and flowed together according to the necessities of the moment. It was a huge learning experience for me. The piece I wrote was also very involved—roughly 20 minutes, two movements. When I got to the rehearsal, they’d say “Okay, now, on measure 42 on beat 3, does that phrase extend to measure 45 beat 2?” I had to know exactly why I wrote everything I wrote. I became extremely aware of the logic behind every note, and how it translated to the performance. At a certain point, I started to think: why don’t I bring this process to a jazz ensemble? You’ve continued working with classical chamber ensembles? BC: Yes. Lately it’s been string quartets. I recently put together a group that featured piano, bass, drums, acoustic guitar, harp, and saxophone, and then augmented that with a string quartet. CMA: How does improvisation function in these pieces? BC: Generally, my jazz-chamber pieces are very specifically composed until we reach those improvised sections. But even the improvised sections have parameters—chord changes, rhythmic hits and the like. Often the solo serves as a compositional device. It may get us from point A to point B; it may build momentum so that by the time we get to point B a transition makes sense. How have audiences responded to this kind of music? BC: They generally love it. My personal philosophy is that a beautiful melody, a strong melody, is a profound statement. It resembles a great sentence. It’s the most compelling feature of a lot of music. In my music, I try, above all, to create something compelling. And I feel that once an audience is invested in a melody, once they can relate to that, you’re free to be as complex and layered as you want underneath. Is your audience predominantly a jazz audience now, or has it changed? BC: I don’t really shoot for a kind of listener. I try and relate to people on a human level and see where that takes me. I don’t know who listens to what when they come to my concerts, but when they hear my music hopefully they’ll just get something that moves them. How did you first become acquainted with CMA? BC: My friend Benny Maupin kept bugging me to join. He said, “What you do is perfect for CMA!” But I had the usual jazz musician mentality—the gig mentally. I thought, “I’ll apply for this commission, meet the requirements, get the money for it; that’s it.” But as I worked through the grant process, I began to see things differently. I was then asked to join the board, and at a particularly important moment. The organization had only recently begun to include jazz in its definition of chamber music, and not without controversy. Phillip Ying, of the Ying Quartet, was president then, and the way he navigated that discussion was really beautiful. Phillip and I became friends, and ended up working on a commission together. All of this really helped to solidify my Jazz-Chamber project—the contacts I met, the musicians I collaborated with, the promoters I was introduced to. And being on the board over the years, I was able to get a bird’s eye view of the inner workings of the organization. I loved the fact that there was an organization out there fighting for chamber musicians, fighting on behalf of this field, especially in these precarious musical times.